The company that operates the Brooks garbage-burning facility contributed more than $20,000 in campaign contributions last fall ahead of getting favorable legislation that would spare it from Oregon's sweeping carbon pricing legislation and provide it additional special treatment. A legislative leader who played a key role in crafting the exemption now says the move may go against the spirit of the policy and could be removed. 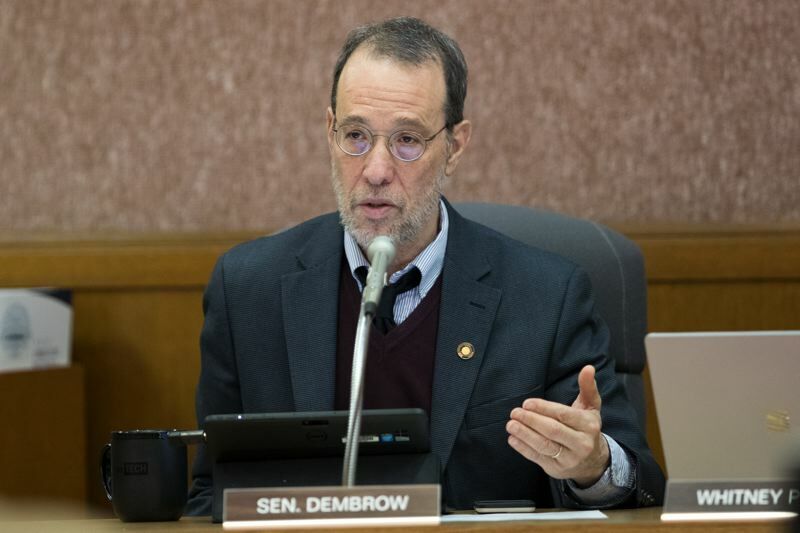 "We are committed to maintaining the integrity of this program," said Sen. Michael Dembrow, D-Portland, chair of the Joint Committee on Carbon Reduction. "It's really important as we set it up." The facility at issue is Covanta Marion, an incinerator easily recognizable by its billowing smoke stack east of Interstate 5. It burns garbage from Marion County and imported medical waste, harnessing the resulting steam to generate electricity. It is one 44 such facilities around the world for New Jersey-based Covanta. According to the Oregon Department of Environmental Quality, Covanta Marion ranks No. 20 on the list of the largest greenhouse gas emitters in the state. In 2017, it emitted 160,843 metric tons — largely carbon dioxide. 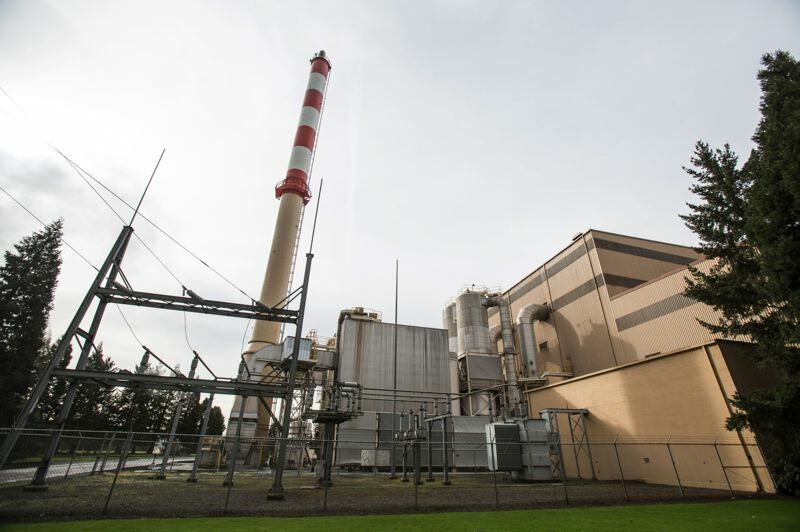 Covanta Marion has found itself spared in the Oregon proposal for stricter regulations to limit carbon emissions, expected to pass this year. The carveout, reportedly agreed to by lawmakers during the 2018 session, was included in House Bill 2020, introduced as a key environmental push for the 2019 Legislature. Dembrow said he made the decision in 2018. The committee didn't see the carveout until the bill was released. In the weeks before the bill was released, Republicans complained about not knowing the details ahead of time, alleging Democrats were drafting the bill in secret. Covanta Marion is not named explicitly. The legislation exempts facilities built before 1995 that "generate electricity from direct combustion of municipal solid waste." Officials with the Department of Environmental Quality tell Salem Reporter the facility is the only one in the state that fits that description. In the months before the Legislature convened, Covanta donated $21,750 to the campaigns of the governor, legislative leaders and legislators serving on the committee considering the legislation, according to state Elections Division records. Covanta spokesman Jim Regan said the company is "not currently impacted by the bill." He said that while its incinerator does emit carbon dioxide, it burns and essentially "avoids" methane gas, a more dangerous greenhouse gas. "We're reducing that methane gas," he said. "We're also reducing fossil fuels potentially on the grid that we can offset with the power we put on the grid." Regan noted that Covanta Marion's competition is landfills, which can be high contributors of methane. Landfills that recapture methane to create energy would also be exempt under the proposed legislation. "It's not a direct benefit. It's to even the playing field to have the waste sector treated uniformly," he said. "If this facility was not there, greenhouse gases would increase." Covanta earns most of its Brooks revenue through its contracts with Marion County, Regan said. The county paid Covanta $10.3 million last year. Regan said that if Covanta Marion was not exempted, the regulations would "significantly impact the economics of the facility — and potentially disincentivize the only source of electricity in the state that has a negative greenhouse gas footprint." When asked to elaborate, Regan said he couldn't. "We can't really say until we know what the final ruling will be," he said. "It wouldn't be good to speculate on something like that." If passed, the legislation would cap statewide carbon emissions at 52 million metric tons in 2021. Facilities regulated by the cap that emit more than 25,000 metric tons per year would have to pay for all the greenhouse gasses they emit by buying allowances from the state. The idea is that it would cause the facilities to look for greener ways of doing business. Besides the incinerator and landfills, there are industries, like agriculture, that are exempt. But the Covanta Marion exemption stands out, environmentalists say. 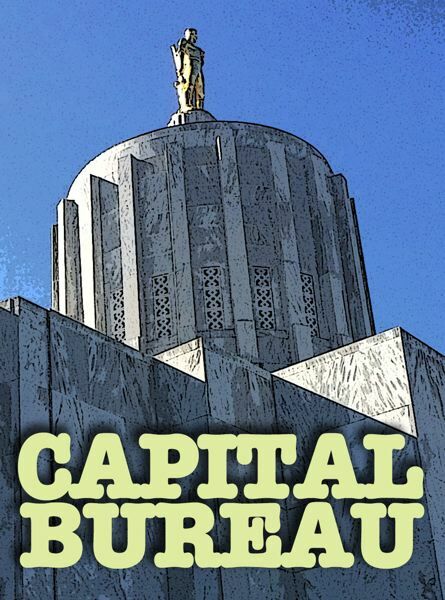 Dembrow told the Oregon Capital Bureau that he once supported the exemption but has since started to question it. He said Covanta's lobbyist, Elise Brown, argued last year that the company's electricity generating effort is similar to landfills that capture methane and turn it into fuel for transportation, which are exempted. "I found that a compelling argument at the time," he said. Covanta spent $60,422 on lobbying last year, according to state records. Dembrow said he agreed to include Covanta's requested carveout in amendments to greenhouse emissions legislation pending in the 2018 Legislature, but the bill died soon after. Covanta's exemption was included in the original language of House Bill 2020 with Dembrow's approval. Since then, "I heard from some public health and environmental advocates, whom I respect, that they had some real concerns about that," he said. Dembrow said those advocates told him that there was no comparison to landfills. The environmentalists also noted that methane emitted from landfills that would be exempt under the policy was a form of "biogenic" emissions, meaning they come from natural materials like plants and trees. Covanta Marion's emissions are about half biogenic. The other 74,424 metric tons are "anthropogenic" emissions, byproducts of burning man-made materials like plastics and other fossil-fueled based materials. Lisa Larkin, executive director of Beyond Toxic, an environmental advocacy group, said trash in landfills degrades slowly while incinerators immediately release emissions when burning. Covanta Marion's emissions recently landed it on a list of 20 companies facing stiffer Oregon regulations, announced Friday by the state environmental agency. A new state program, Cleaner Air Oregon, prompted the agency to review emissions from plants that could be causing human safety risks. "Covanta has done a great job of messaging that somehow burning trash is a sustainable way to create energy," Larkin said. Dembrow met with environmentalists and representatives of Covanta and DEQ in February to discuss Covanta's emissions. DEQ confirmed that burning trash is more harmful to the environment than landfills, Dembrow said. In late February, Dembrow told Covanta he was reconsidering the exemption and planned to meet with company representatives in mid-March for more discussion. On Monday, March 11, Dembrow said talks continued. "I can't say at this point where we are going to land on this, but I can say we are looking at it closely," he said. If the exception weren't removed, he said, only Covanta's anthropogenic emissions would be priced under the cap-and-trade program. Since last spring when committee members told Covanta it would get an exemption in future legislation, the company contributed to committee members' campaigns. Since September, seven members of the 14-member committee have received a combined $8,750. Sen. Fred Girod, R-Stayton, received $1,250. Sen. Cliff Bentz, R-Ontario and Sen. Alan Olsen, R-Canby, each got $500. Sen. Lee Beyer, D-Springfield, got $2,000 in December. Rep. Ken Helm, D-Beaverton, received $1,500 on Nov. 5. Covanta contributed $2,000 to Dembrow since September and Rep. Karin Power, D- Milwaukie, got $1,000 in October. Covanta also contributed a combined $10,250 to Rep. Mike McLane, R-Powell Butte; Sen. Jackie Winters, R-Salem; Senate President Peter Courtney, D-Salem; House Majority Leader Jennifer Williamson, D-Portland; House Speaker Tina Kotek, D-Portland; and Sen. Ginny Burdick, D-Portland in 2018. All were in leadership at the time of contributions. Gov. Kate Brown received $2,500, as well. Larkin said she believes the contributions secured the carveout for Covanta. Regan, in an email, said the publicly traded company is not doing anything extraordinary. "Like most businesses in the United States, we participate in the political process to advance our goals of more sustainable waste and materials management and the interest of our stakeholders — the communities we serve, our employees and our shareholders," he said. Dembrow said he wasn't aware of the contributions until a reporter asked about them, and said he decided to give the exemption long before they were made. "We came to an initial agreement on this back in February (2018). I don't know what the context was for other contributions. For me, it came in just among others as part of fundraisers that I've had," said Dembrow. Covanta also has made its political favor felt on Senate Environment and Natural Resources Committee, which Dembrow chairs. That committee is considering Senate Bill 451, introduced by Beyer on behalf of Covanta. The company gave one committee member, Sen. Arnie Roblan, D-Coos Bay, $2,000 in October. That legislation was originally assigned to Dembrow's Carbon Reduction Committee, which is overseeing cap and trade legislation. It was moved out of committee without a hearing and to the Environment Committee. A public hearing is scheduled there March 12. The proposal would make Covanta eligible for "renewable energy certificates," credits for producing renewable energy. If granted, Covanta would earn a certificate for each megawatt-hour produced by burning trash. Covanta could then use the certificates to market their energy as clean to clients, or sell them to other energy companies to offset dirty energy production, such as burning coal. In a brief interview, Beyer said he was not making a policy argument with the legislation, but is clarifying the intent of a bill the Legislature passed in 2010. Beyer wouldn't schedule an in-depth interview to explain the bill, but responded to written questions. The legislation would treat Covanta as a biomass facility, which burns natural materials like sticks and brush. It would get the same treatment as solar, wind and hydro electricity producers. 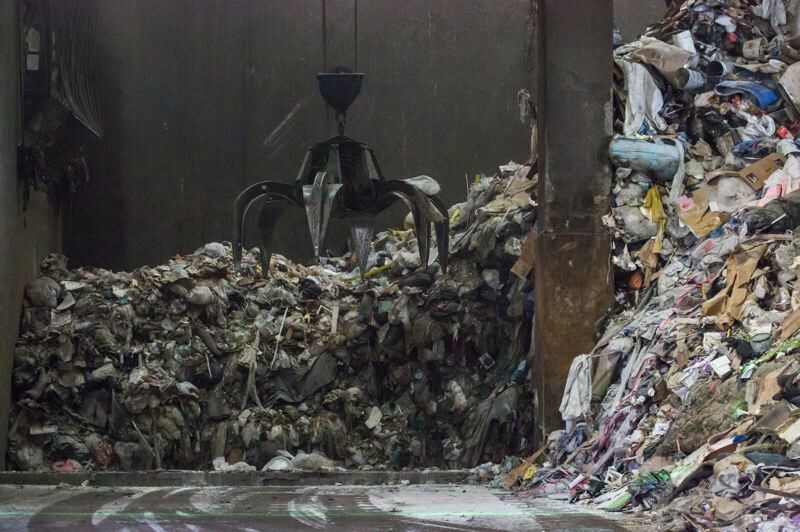 "The Covanta garbage burner, which as I understands it incinerates about 60 percent organic with the balance plastics and other waste, was considered at that time as a biomass generator," Beyer said. Covanta reached out to Beyer, he said, and said the Oregon Department of Energy wasn't interpreting the policy correctly and didn't think Covanta was eligible for the certificates. Beyer said he talked with former Sen. Chris Edwards, on the committee that passed the 2010 bill, who agreed with Covanta's interpretation. Legislative attorneys told Beyer the language in the policy was vague and could be clarified. "Please understand that I often introduce legislation for anyone that ask because of a belief that every citizens deserves to have their ideas considered by the legislature even when I disagree with them," Beyer wrote in his written response. "In this instance, I thought Covanta's request was justifiable. I strongly believe that government integrity is based on people being able to count on us keeping our word." Larkin disagreed. "I think that it is absolutely unheard of that here in 2019 any legislator would feel obligated to keep a promise from 10 years ago for someone who is no longer a legislator, who now happens to be a lobbyist for timber," she said. Beyer said he doesn't know how much money Covanta stands to make if the legislation passes. Larkin said garbage burning should not be treated like wind and solar. "It is not renewable, because it also burns quite a bit of plastic in their mix," she said. "They import quite a bit of medical waste from out of state."